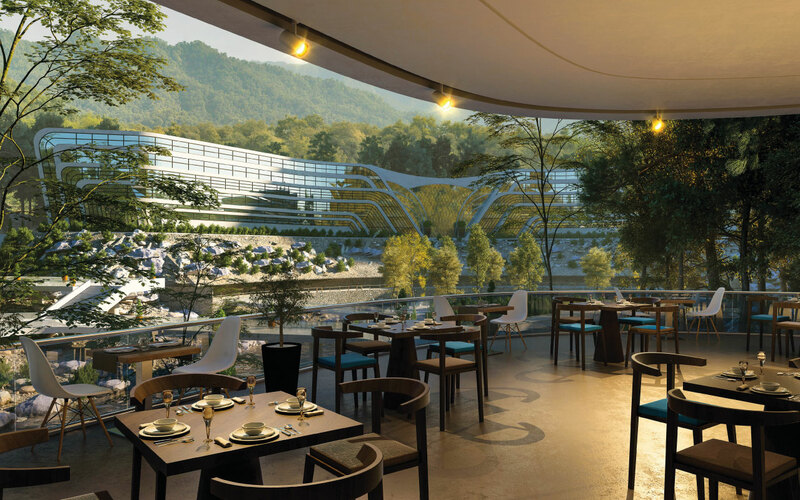 Located on Murree Expressway in between the next emerging business hub of Islamabad and just 3.4km away from 17 Mile roundabout, Montviro is a five-star hotel, shopping mall and Pakistan’s first theme park stretching over the area of 326 kanals approx. The 90 km long Murree Expressway is expected to be a major business, and tourism hub in the next couple of years as renowned brands like Grand Hyatt Hotel, Sheraton, Gym Khana Club, and Bahria Golf City have already started their projects. The expressway has a 30-40% of organic growth raise every year. Irtifa Group is the developer of this project. Designed on international standards by the team of professional architects, Montviro is your best chance to get high investment returns from a commercial real estate property in 2019. Here are the project features of Montviro Islamabad. The exquisite Five Star Hotel is designed to cater the high-end audience with cutting-edge facilities like Presidential Suites, Business Center, Banquet Hall, Restaurant and Health Club. With extraordinary offerings and heavenly location, Montviro’s Five Star Hotel is soon going to be the most sought-after destination for the people in search of peace & serenity. It is indeed a worth making real estate investment in Pakistan today with a rise in tourism for the last few years. Let’s look at some of the features of the Hotel. While floating in our most stunning rooftop infinity pools, you won’t find a more spectacular photo-taking spot anywhere in the country. Experience the unforgettable beauty of a sunset and sunrise amidst the clouds. Find your inner strength in harmony with nature! Montviro members can enjoy access to the 5-star luxury spa, and state of the art gym with the latest equipment and a wide range of classes, sauna, and Jacuzzi. Our luxurious Presidential Suite is markedly spacious, double height with a hilltop roof. It is a uniquely designed two-bedroom suite on the 5th floor that will provide you a scenic as well as a waterfront view. Also, it consists of a mini theatre, a private gym, jacuzzi, and an infinity pool. Our Executive Suites with 850 Sqft height are situated on the 4th and 5th floor of the Hotel. Guests can choose between different interior options i.e. two-bedroom, twin queen and single king with the advantage of the separate sitting area. These spacious rooms are flooded with natural sunlight and offer elegantly furnished area, designed both for work and relaxation purposes. Bright and stylish interiors of deluxe rooms appeal with their exquisite décor and luxurious design. Our Deluxe rooms with 450 Sqft height on 1st, 2nd, and 3rd floor are equipped with two different interior options i.e twin queen and single king. These rooms have a spacious sitting arrangement with a scenic gallery view providing true relaxation. 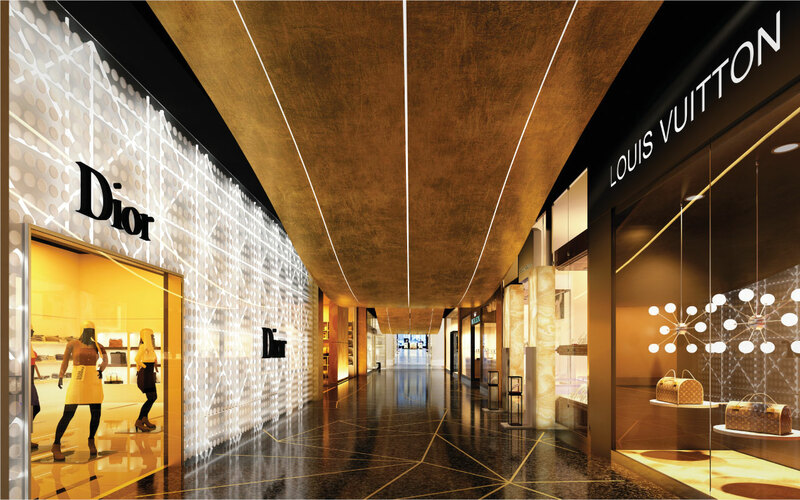 Montviro Shopping Mall is designed to be a high-end shopping mall with five floors of luxury retail experience for all ages with the brilliant idea of a riverside shopping experience. It makes the visitors feel like they are interacting with nature while shopping. Beautifully located near the green hills and next business hub of Islamabad, it’s the most commercially viable place to invest in. Here some of the features of Shopping Mall. Discover the Must-Have bites with appetizing aroma of spices, including the regional and imported range of food for hungry locals and inquisitive tourists alike. No matter what kind of food you prefer, you’ll find it in our unique and modern Food Court prepared fresh to order and ready to excite your taste buds. Montviro Apartments are designed with international standards to celebrate comfortable communal living, with features and finishes that enrich and elevate your everyday life. Enjoy access to modern amenities that make a convenient living not only central but satisfying. The developer has submitted an application with the CDA for the issuance of related approvals. The master plan for Montviro has also been submitted. Moreover, the process is ongoing to seek approvals from Islamabad Electric Supply Company, Sui Northern Gas Pipeline Company, Water and Sanitation Authority (WASA), and Environment Department. According to our sources, the CDA is looking at the application to issue the NOC as soon as possible. As and when there is an update in this regard, we’ll let you know and keep you updated. Development work at the site will begin once CDA issues the NOC. 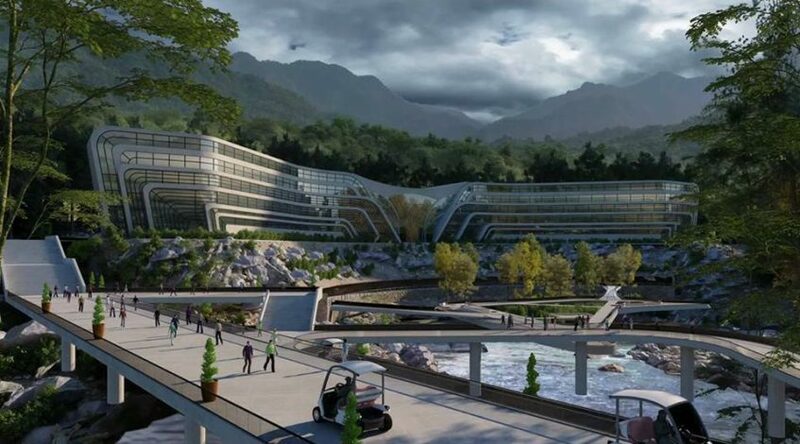 However, the developer has laid the basic infrastructure to allow the formal initiation of construction work at the park, five-star hotel, and the shopping mall. Moreover, the developer has made the base ready for the connecting road network. Additionally, the construction of retaining walls and culverts is in advance stage. Furthermore, the site office is functional and the accommodation for labor to be engaged for the project and storerooms for construction material have also been set up. In the first phase of the project, Irtifa Group will develop the hotel, a shopping mall, and an amusement park. 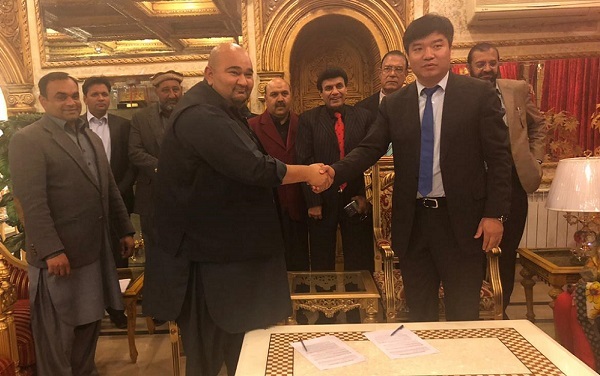 In this respect, a MoU has been signed with a Chinese firm named Yuanda China Holdings. We will keep you posted about the latest updates on this project.